Nokia 105 is the perfect choice for all those who seek a phone with lasting battery life. With a talk-time of 12.5 hours and a standby time of 35 days, this phone will definitely not disappoint you. Going on a long journey? Nokia 105 lets you tune in to your favourite radio station with an integrated FM radio. With a slightly bigger screen size than the Nokia 105, Adcom X6 Freedom is a WhatsApp enabled phone. 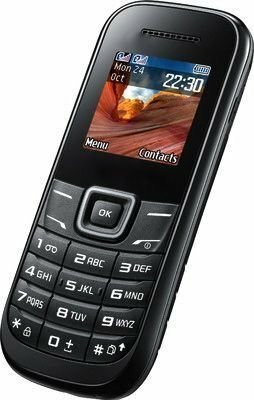 It wouldn’t be wrong to call this phone a dual SIM smartphone as it can also play MP3/MP4 files for you. Another highlight of this phone is that you don’t need headphones to listen to FM radio as this phone supports wireless radio. The I Kall Dual SIM is a stylish phone with a 1.8” TFT screen. Be it videos, songs or any other multimedia content, you can store it all on this phone with an internal memory of 8GB. You will not need a charger throughout the day to charge this phone as it comes with 1000 mAh battery. With dual SIM support and a reasonably loud sound output, this phone is totally worth your money. This is another WhatsApp enabled smartphone with an impressive battery life and stylish looks. It is ideal for people who love to stay entertained on the go as it supports MP3, MP4, MIDI, WAV & 3GP multimedia formats. With a talk time of 4 hours and a standby time of 25 hours, this phone is truly reliable.